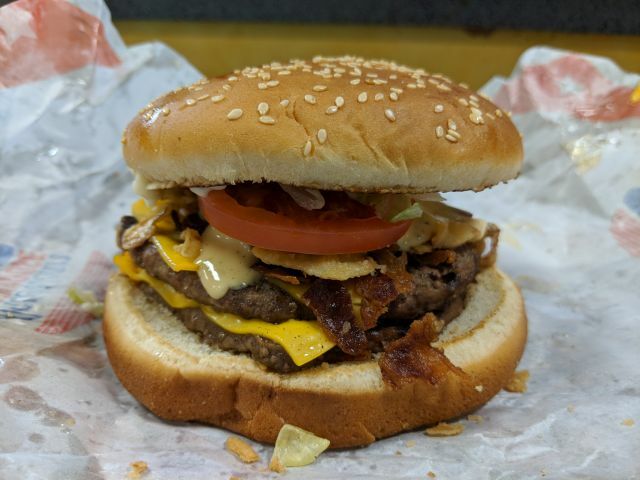 Burger King's American Brewhouse King burger features a half-pound of beef, three half-strips of thick-cut bacon, crispy onions, tavern sauce, lettuce, tomato, American cheese, and mayo on a toasted sesame seed bun. I bought one for $6.19. Besides the tavern sauce, the American Brewhouse King takes a very well tread path as far as fast food burger goes. It's quite hefty and is as wide as a Whopper but taller. It was put together pretty nicely and the components were of good quality. 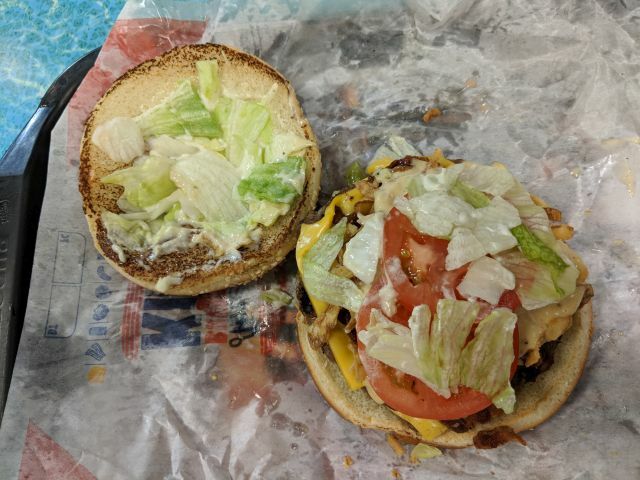 The beef was moist, the lettuce was crisp, the tomato was firm but not under-ripe, and the onions and bacon were crunchy. The bun wasn't dry and held together well from start to finish. Taken alone, the individual ingredient had a good bit of flavor to them, with the onions standing out in particular. The problem was that the tavern sauce rendered all the various flavors moot. Basically, everything tasted like the sauce so that it felt like I was eating tavern sauce with different textures. As for what the sauce tasted like, it offered up a strong, bitter hoppy note of beer (but doesn't actually contain beer) along with a tangy creaminess. It's nice if you like beer and not unpleasant if you don't. 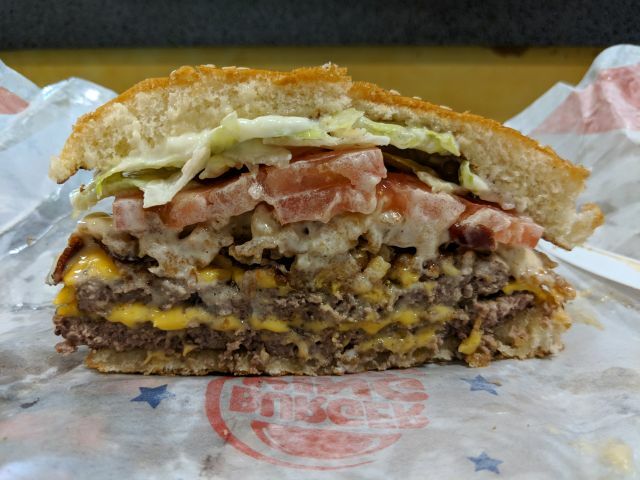 That being said, having an entire burger taste like it is probably not ideal and I didn't enjoy the experience.